The Five-Star Quality Rating system for nursing facilities (NF) was created to help consumers and families more easily compare nursing homes and identify high and low performing facilities. Facilities are given a Five-Star rating in 4 areas – Overall, Staffing, Health Inspections, and Quality Measures. 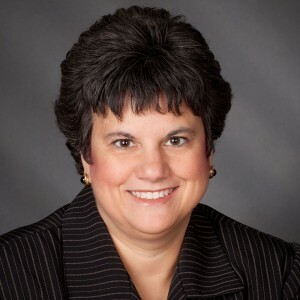 It is increasingly important for NFs to monitor Five-Star ratings as it could negatively impact operations including census and managed care contracting. The program has undergone many changes since its inception in 2008 partially in response to widespread criticism. In 2018, CMS made changes to the health inspection and staffing components of the Five-Star rating system for NFs as well as to the cut points used to determine the facility’s star rating. Use of Payroll Based Journal (PBJ) has big impact on staffing stars. In April 2018, CMS made a number of changes to the staffing component. Most significantly, they began using data from the Payroll Based Journal (PBJ) to calculate the staffing rating, moving away from CMS-671 completed during a facility’s survey. In addition, the acuity adjustment will now be made using the STRIVE time study and RUG-IV 66 grouper instead of the 1995/1997 time study and RUG-III 53 grouper that had been used from the inception of the Five-Star program. 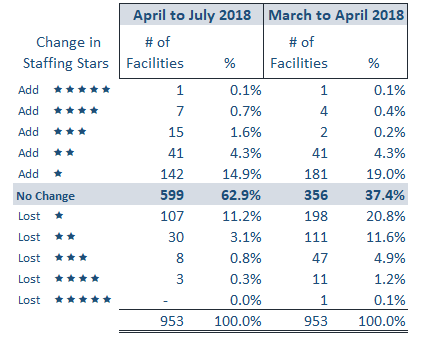 In April 2018, the first PBJ quarter, 63% had a change in staffing stars; 39% of those had a decrease. In July 2018, the second quarter for PBJ, only 16% had a decrease, while 21% had an increase and 63% had no change in staffing stars. It is important to ensure that your PBJ submission accurately reflects your facility staffing levels. In July 2018, there were 94 Ohio facilities downgraded to 1 staffing star due to high number of days without a Registered Nurse (RN) on-site or failure to submit staffing data. 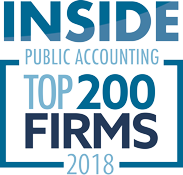 Some of the errors we have helped clients identify include missed PBJ submissions, artificially high census due to missing MDS discharge assessments, missing purchased nursing and other contracted hours, and improperly coded employees for PBJ submission. Health Inspection ratings now uses only two survey cycles. In March 2018, CMS reduced the health inspection component from three survey cycles to two survey cycles. The most recent survey will be weighted 60% while the second survey will be weighted 40%. Complaint surveys from those cycles will continue to be included in the survey rating. This change impacted approximately 22% of facilities nationwide. As a reminder, the health inspection rating is currently frozen and no surveys from November 28, 2017 through November 27, 2018 are being used in the Five-Star rating. Can you identify opportunities and risks to your Five-Star quality measure rating? Quality Measure Five-Star Ratings are recalculated on a quarterly basis. 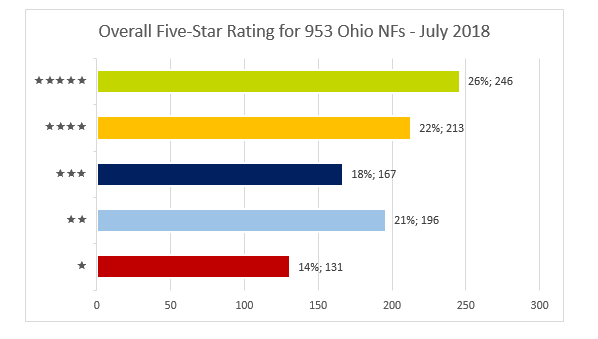 24% and 37% of Ohio NFs had a change in quality measures stars in April and July, respectively. Sometimes a small change can cause you to gain or lose a quality measure star if you are close to a cut point. If you identify these opportunities or risks, you can focus you quality improvement efforts in these areas. Contact your HW Healthcare Advisor if you would like to know more.